Published By Law Offices of David L. Freidberg, P.C. by Law Offices of David L. Freidberg, P.C. Energy Credits: In order to encourage the use of solar power, renewable energy credits have been put in place as an incentive for businesses and individuals that want to make a difference. The Illinois Power Agency has, for example, developed a supplemental procurement plan that makes up to $30 million available under the Renewable Resources Fund. 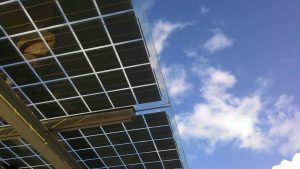 Community Foundations: In an effort to localize the sustainability agenda, the Illinois Clean Energy Community Foundation has instituted a grant program that specifically targets the increased use of efficient energy. This work extends to corporations, non-profit organizations, local authorities, educational institutions, and other relevant agencies. The idea is to lead by example. The Solar Chicago Project: This is a scheme that targets homeowners by offering them discounts for installing energy-efficient powering systems. The end result is an installation cost that is significantly lower than those in many other states. One of the most impressive examples of this scheme at work is the Cook County Project. These are local initiatives that are not coerced through the force of law. Small Improvement Business Fund: This is an example of the actual operation of the Tax Increment Financing program. TIF is designed to assist commercial property owners in remodelling their portfolio in such a way as to open up the possibility of installing energy-efficient alternatives. Solar energy is a very popular option for these types of commercial portfolios. There is a common theme that runs through all these initiatives: Although they are undoubtedly aimed at improving the sustainability of the Chicago economy, they are not driven by the force of law. This represents an alternative to the legislative overkill that has sometimes marred the attempts to persuade other jurisdictions to start getting a better read on their environmental sustainability measures. Indeed, the experiences of Chicago demonstrate the struggle between maintaining a free market system under a constitutional republic and controlling human behavior to the most minute detail. Some states have had serious skirmishes with members of the public who did not want the environmental protection agencies to come onto public land so as to impose the strictures of the law. The supreme court had to intervene in states like Arizona in order to clarify the boundaries of private freedom and state authority. Now that the Trump administration is actively working to dismantle certain parts of the Environmental Protection Agency (EPA), such initiatives will have an even greater role to play in the community. The downside is that anything that is not backed by the threat of punishment is often ignored by the public. If there are no consequences for dumping or using coal, the chances are that many businesses will continue doing so. That means that in order to fully realize the dream of clean energy, it might be necessary to compel the citizenry of Chicago to do things that they would otherwise prefer not to do. This is where active resistance comes into play. The legislators and the law enforcement agencies have to tread a very fine line in order to avoid making the environmental protection laws even more unpopular than they already are. For expert counsel on clean energy laws in Chicago, contact David Freidberg Attorney at Law at 312-560-7100. Copyright © 2019, Law Offices of David L. Freidberg, P.C.